Ice-9 Foam donated a bunch of blanks to be handed out to boardbuilders with stand out boards at the AB3/Fish Fry. This was an informal and friendly competition. A secret panel of three handsome and intelligent judges quietly walked the beach and scoped out all the boards. The judges had a tough job because of the hundreds of extremely high quality boards. Best in Show-Dennis Murphy for a special lightweight wood board made out of a recycled water tower. Dennis also wins a berth into the Sacred Craft Shape-Off at the next Del Mar event in Fall '09. Best Homebuild/Garage board-This guy Hans Hans Enyedi from Leucadia that nobody has ever heard of before. He made a resin swirl mini-Simmons that was a clean shape, had a tight cutlap and good resin pinline and polish. This was a tough category for shure. Best Art-Cher Pendarvis for her groovy blue Sunfish art on one of her husband's Pendo-Flex boards. Another tough category to judge. 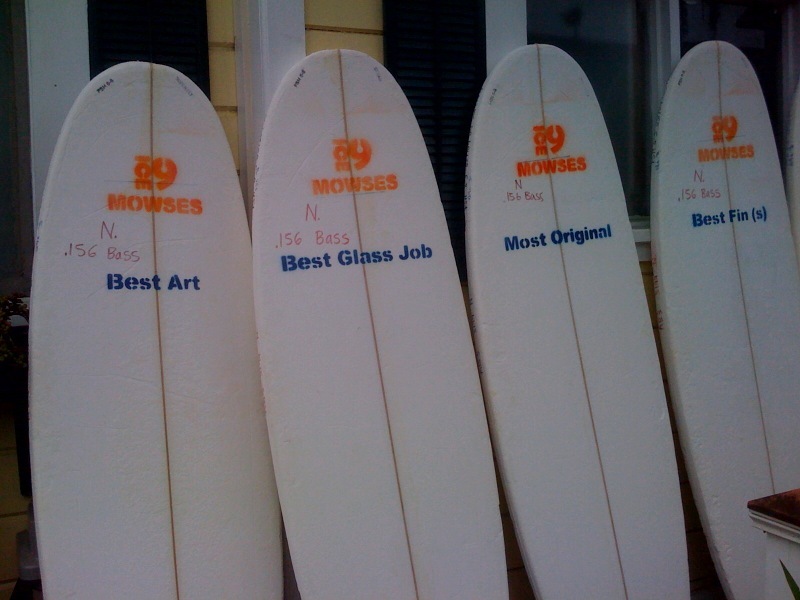 Best Glassjob-The judges did not know who glassed this board until after is was chosen. It was an Ian Zamora shape with a stunning multi-colored cross out of resin. Overall it was a tight board and a crowd favorite. 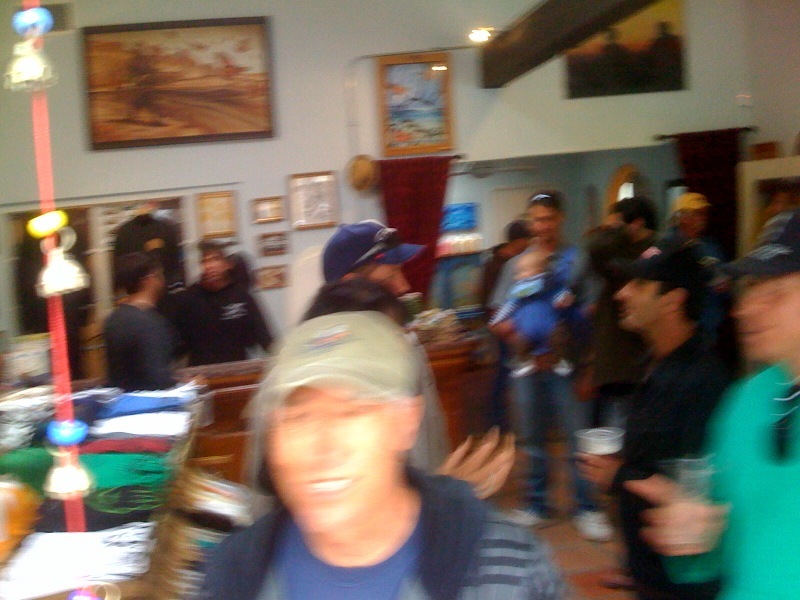 Turns out if was glassed by Jimmy Robertson (JJR on this forum) at the Lokbox shop in Oceanside. 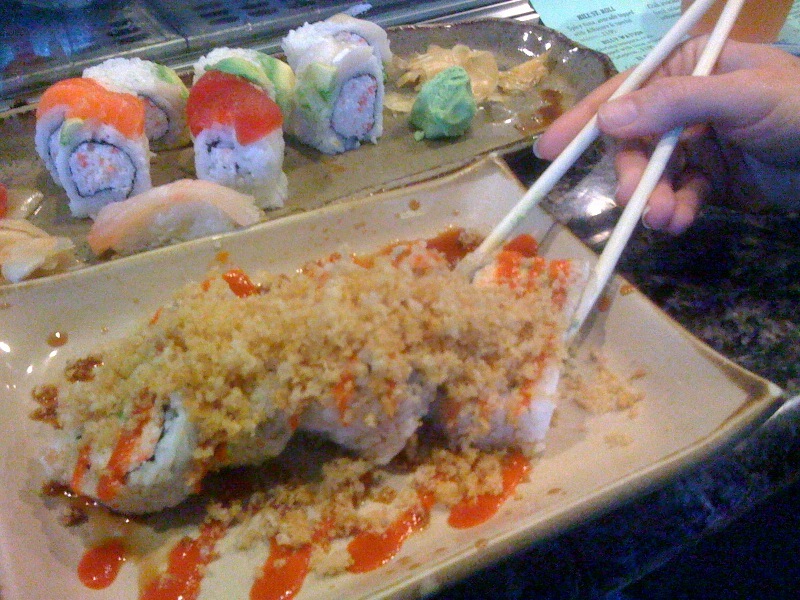 (*note-Michael Miller from San Diego was a close runner up). Most Original-Eli Mirandon for his trippy "Porpoise" twin fin. He also paddled out on this board and did an air on it. Biggest Roach-This category was for the ugliest/funkiest looking board and Eli Mirandon also got this one for the same above board, hee hee. Best Fin(s)-Daniel Partch for his beautiful marine-ply tri-fin set (oops, "anything but 3"???) with art engravings. On a Michael Miller Frye Eagle inspired board. Furthest Traveled-Greg Griffin from Hawaii who unfortunately was sick and wasn't around much during the day. Griffin was in the running for best fins for his tight handfoiled G10 fins. *To everyone who didn't win, you still shred and thanks for spending your Sunday at the beach with us. Big shout out to "Boston Tony" for helping organize and print the t-shirts. ha, well if you guys could help me out by posting your photos that would be great. Tonight Maggie Marsek and I are going to go through the 400 something photos she shot and put together a gallery. The swirl was decent but it was other details that won Hans the best homebuild. The Pod Room helping host the after party. Joe Wood and band destroyed! 5'10" x 20.25 quad. Chambered Balsa/Redwood construction. Board started out at 17# before chambering and ended up at 11#. The redwood was from an old water tank out in E. San Diego County, and had water stains in it that really added some dimension. The boards had started out at 20ft before they got to it. They were also working on building a hollow board kit from Grain surfboards, but were muttering something about it being a labor of love, not money. You can see the tip of that board in the lower right hand corner of the pic. Last edited by GDaddy; 03/30/09 03:34 PM. Hans Enyedi "Flying Fish Surfboards". Hans said this was his second color lamination (!! ), and he did everything himself. 6'1" Simmons Tribute with probox fin setup. He has a set of custom Simmons template fins coming from Probox but in the meantime Hans took a swing at making his own fins - first try. They're so new they were still a little too tacky to put on the board on Friday, but they still looked pretty good. Sorry shoppers, but Hans said he only does boards for friends and Family. Last edited by GDaddy; 03/30/09 03:40 PM. Cher Pendarvis of Pendaflex Surfboards. This is Cher's personal daily driver (2 years old and it still looks new) that she calls the "Garibaldi". 5'10" twinnie (wood fins, of course) w/22" width and some flex. I blew it by not getting the artwork on the bottom, which is a beautiful gold/blue garibaldi in motion dealio, because I was groovin on the hand drawn india ink artwork on the deck. Cher sometimes does this on the boards she likes. Anyways, this board has a biofoam blank that's sealed with linseed oil and glassed with bamboo cloth. Like I said above, this is one of Cher's personal boards and it's already a couple years old but looks pristine. 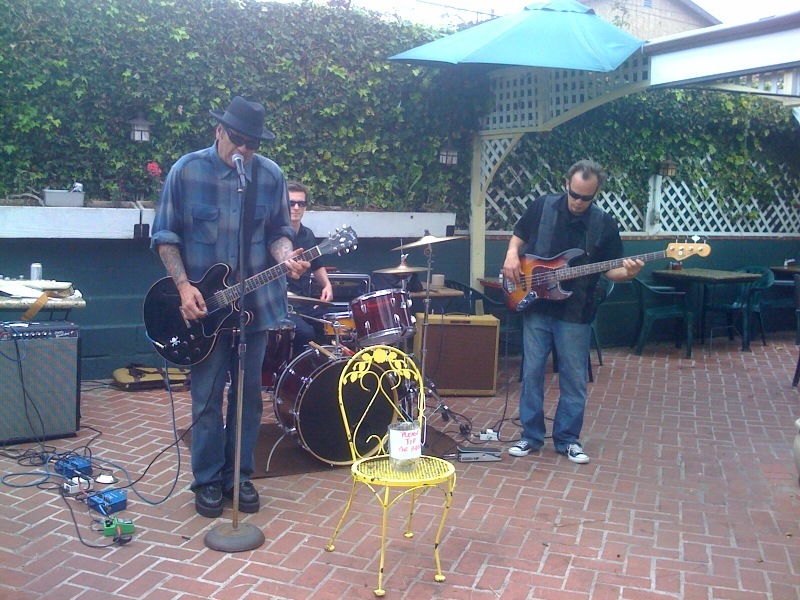 Incidentally, that's Steve Pendarvis, our own Basswave, and Jetty Eddie in the backgound. So many nice folks, so little time. Last edited by GDaddy; 03/30/09 04:06 PM. I got a pic of the board but unfortunately I didn't get one of the man. Maybe next time. Anyways, the porpoise board on the left has fiberglass fins and the yellow/blue board on the right has bamboo fins (101's I think). When you're really serious about kicking the flex up a notch in the tail and fins this looks to be the next step. Last edited by GDaddy; 03/30/09 03:48 PM. This was another dealio where I got the fins but I didn't get the man. Sorry 'bout that. Here's a box full of fins that are ready to go, including some with FCS. Now there's no excuse for not trying some wood out on your next ride. 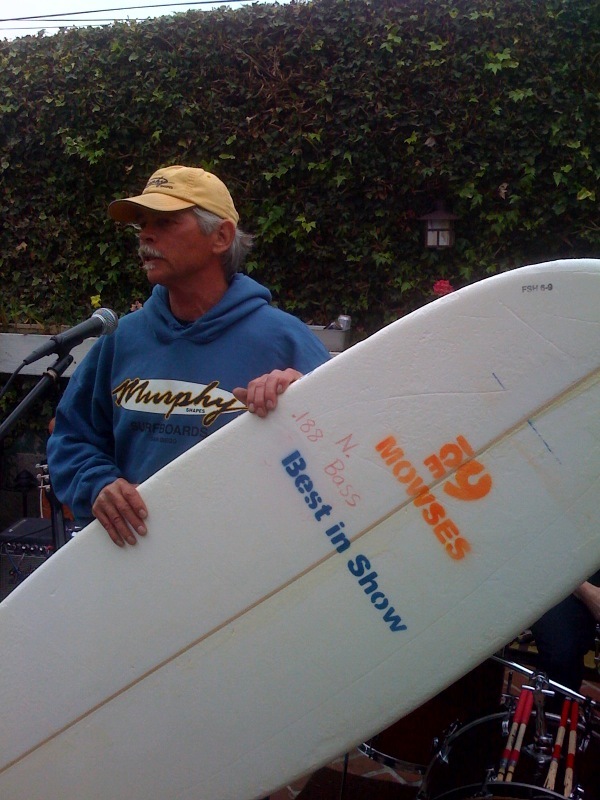 I got a couple pics with Michael Miller and his boards, but I'm not sure I got the one with the Partch fins that won this award. Last edited by GDaddy; 03/30/09 03:52 PM. 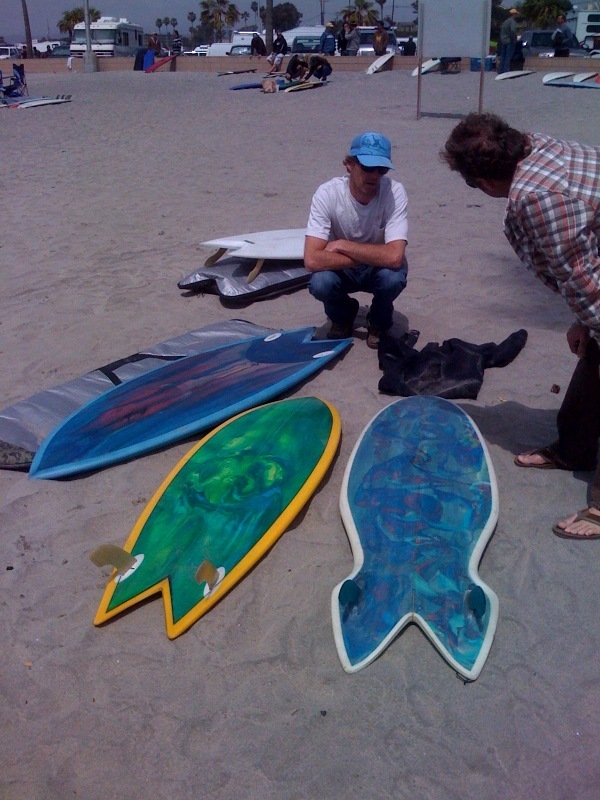 Word on the street is that all 8 of Greg's boards disappeared within 5 minutes of hitting the beach. I had to wait until the end of the morning when everything was blown out to get this many of the boards in the same place at the same time. I debated whether to post Greg's pic, seeing as how he wasn't quite acclimated to the O'side eddie conditions and was fighting the bug. But, I decided the public interest prevails. I figured Greg's many fans have a right to know what he looks like so they can accost him at will when he's here in town. No more anonymous Grand Slam Breakfasts at Denny's for you, Greg. Get well soon. Last edited by GDaddy; 03/30/09 03:59 PM. in reference to the "Best Glass Job" - Zamora, I'm not sure I got a pic of that board and I don't want to post the wrong one up. Besides, I didn't get a pic of Ian Zamora anyway. I tried, but I just came up short - my bad. Maybe someone else got the goods for that one. I did get a couple of Michael Miller (also very nice glass work) but I'll post those up in a different thread. Cool photos GDaddy. 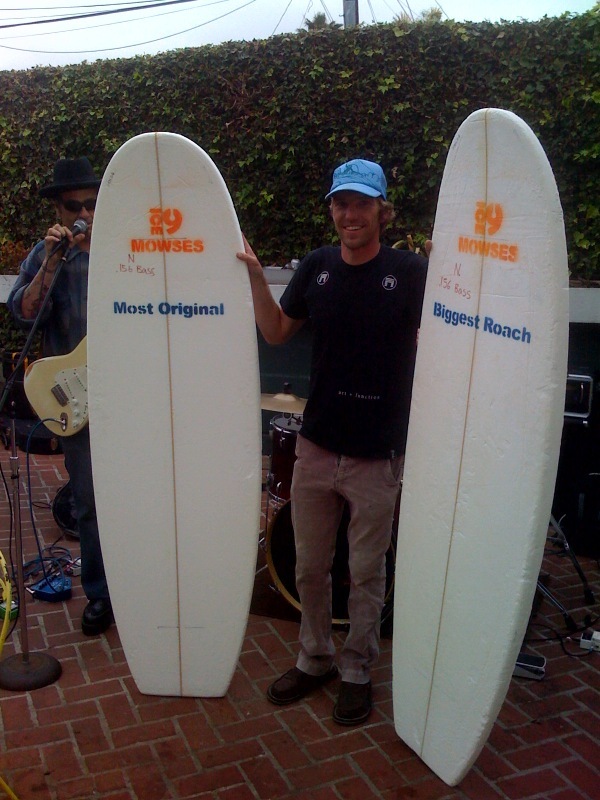 The board Cher is posing with isn't the winning board and those are not the winning Partch fins either. heh. Did anyone take any photos of JJR's winning board? Only ones I have. Maybe someone has some higher res shots?